MSD's new DynaForce Starter is designed to crank over the highest compression engines on a hot day in Death Valley. Not that too many race cars are sitting in Death Valley, but it’s good to know that you have the oomph to make it happen. 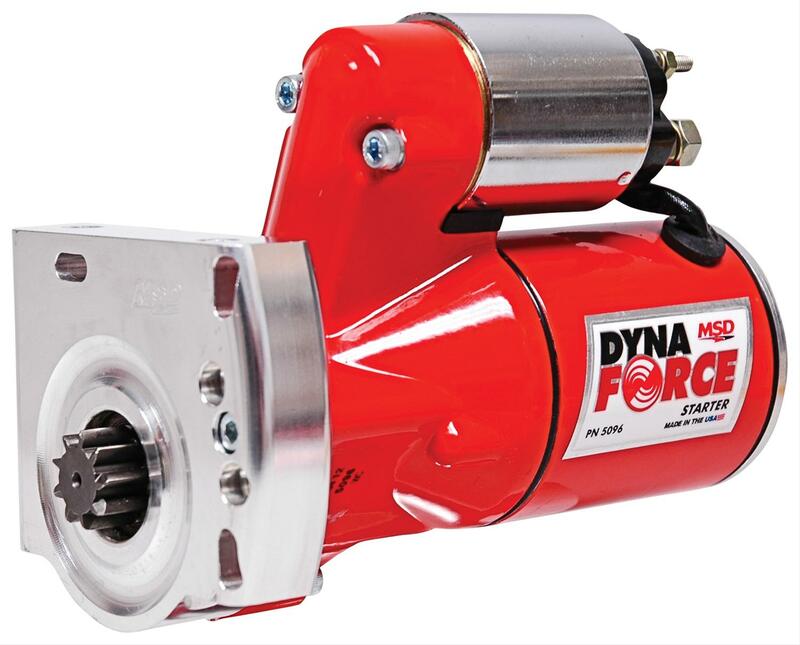 The DynaForce Starter features all new components beginning with a three horsepower motor. This power is used to crank over the reduced 4.4:1 gear set to deliver great torque to the engine’s ring gear to get the engine turning. The armature is balanced during assembly and is guided by two ball bearings for smooth engagement and thousands of starts. The downsized housing clears most headers and oil pans, but just in case, we made the billet mount so it can be clocked in different positions to help in tight applications. The assembly is powder coated MSD red and will stay looking good, even though it’s underneath your car. Fits LS engines, except 2004-06 GTO.